She was born in Porto in 1965 and lives in Vila Nova de Gaia. She has been trained in Fine Arts - Painting at the Superior School of Fine Arts of the University of Porto. 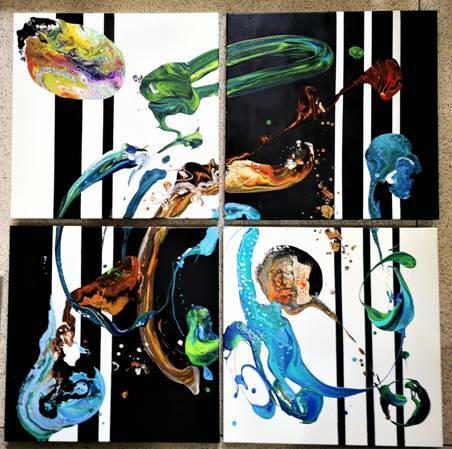 She experimented with diverse areas, such as photography, animation, vitrofusion , etc., expressing himself through various techniques, drawing, watercolor, but mainly with acrylic painting and mixed techniques with resin. Although her artistic activity had never been set aside, it was more recently that she decided to boost it, managing to reserve the time and dedication necessary to carry out works to exhibit.